The Nautilus Glass Tile is a gorgeous indoor feature wall tile that is suitable for bathroom and shower walls. This rectangular tile exhibits an elegant silver shimmering design and will add a refined touch to any bathroom. The Nautilus Glass Tile measures 300x600mm in dimensions and is sold per piece. 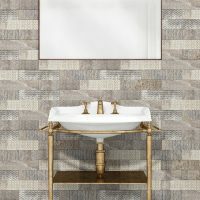 Add a fresh touch to your bathroom with this feature wall tile. 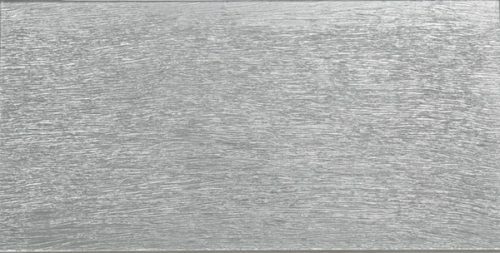 The silver tones will do very well to complement a range of décor, colour schemes, and it will also pair well with chrome or matt black fittings. And because it is suitable for use in wet bathroom areas including shower walls, you can create a seamless, consistent look throughout your bathroom. The Nautilus Glass Tile exhibits the superior quality of manufacturing and top-level artistry. 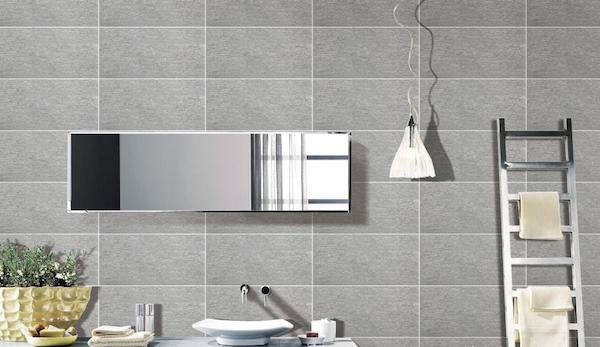 You cannot go wrong in choosing this robust and durable tile for your bathroom selection. 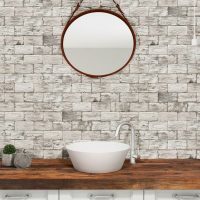 For an elegant indoor feature wall tile in Perth, you’ll find nothing better than the Nautilus Glass Tile from at Ross’s Discount Home Centre. 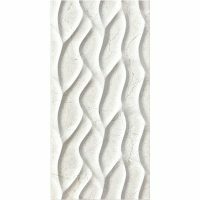 Buy this bathroom wall tile from our online store today and save!